In the previous article of this mini-series where we take a look at Youtube marketing by car manufacturers, Hyundai was the center of attention, as their 15 second adverts gave no reason to consumers as to why they should buy a vehicle from the Korean automaker. 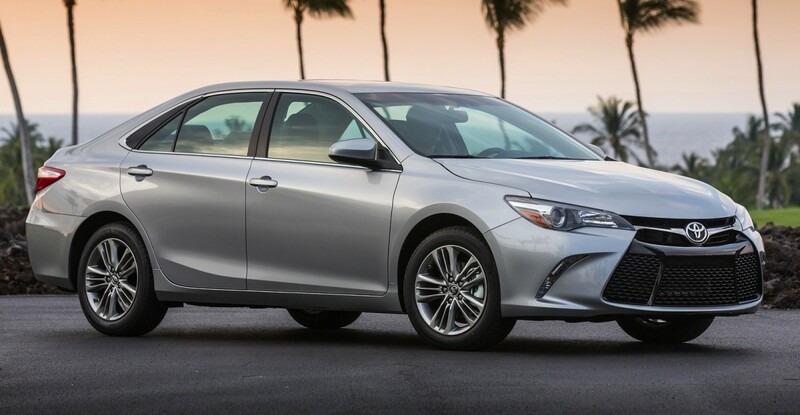 Toyota now finds themselves in the BostonAutoBlog spotlight, magnifying Hyundai’s bland marketing campaign, by going one step further in advertising technology or features that all or most car manufacturers offer in today’s market. Toyota has always had a loyal following, but if their goal is to increase sales, they’re missing big in their recent onslaught of 15 second videos. Before we analyze the video above; is this the state the automotive market is in right now, marketing pre-existing features that any car company offers? In this 15 second clip, LED headlights are the main focus, with the spokesman saying, “How do you make Camry’s headlights stand out even more? Skip ahead a few hours”. It sounds like a punchline to a corny joke, one which won’t break the ice if you’re at a table surrounded by strangers. Most cars come with LED headlights or you can order them to modify the current car you own. Toyota’s LED’s can’t even hold a candle to three year old used Audis or BMWs which would be in the same price range as a new Camry. Worst of all, as a consumer, why would I be attracted to a Camry after watching this quick ad? Yes, by now we should all know Toyota’s reliability record, but there’s no need to start marketing features that buyers wouldn’t find relevant. The corny jokes don’t end there, it continues with yet another quick ad. At this point, you have to wonder if the same marketing firm that worked with Hyundai, moved onto Toyota a few months later. Toyota’s are not known for their handling, and as someone who has driven a Rav4 in the past, you don’t feel very connected to the road. If great handling is the focus of the commercial, there needs to be actual footage, and not a guy playing with a toy car who then places it in the driveway. While 15 second clips on Youtube are the norm for automakers now, less information about the vehicle being marketed is presented. Even though there’s a risk of viewers pressing the skip ad button, it would be better to extend these ads to 30 seconds to offer potential buyers selling points as to why they should buy a Rav4 or a Toyota Camry. The last video worth highlighting, might just be the worst of them all. People who buy a Toyota Prius purchase them for one reason, it’s environmentally friendly. Toyota has been marketing the Prius like a race car, or during the Super Bowl, a getaway car. It’s time to go back to their roots and advertise the Prius for what it is. It’s not “agile”, it’s not “fun”, and it certainly doesn’t need racing decals as the car doesn’t deserve racing credentials. What’s lacking in this commercial? Fuel efficiency. Isn’t that why people buy a Prius? What YouTube marketing has done is take common sense and a well thought out commercial out of the equation. There’s no selling points, no facts about what the car can do, no demonstration as to why it’s “agile”, and there are no legitimate reasons as to why I, or anyone else should buy one. Hyundai and Toyota have made the ads that popup before watching a video cringe-worthy. These two manufacturers can offer better in terms of marketing to the masses, as their cars speak for themselves. Both their reliability ratings and customer satisfaction should be the main focal points of these ads, not the technology or features within the cars. If Ford, Chrysler-Fiat, GM, Mazda, Kia, and Honda are watching, they should take notes. Hyundai and Toyota have left the door open for better YouTube advertising that grabs consumers’ attention, thoroughly goes over what their cars offer in terms of reliability, safety, and performance, and not worry about the technology within the vehicles. What is truly lacking in the automotive market is passion, emotion, and excitement. We should get excited when we see your commercials. There should be a desire to want to drive and buy your vehicles. Every time your vehicle passes us by on the street, our first thought should be that great commercial you marketed that created an emotional connection. It’s time to start marketing your cars as if you love them as much as the consumer. Without passion, you become a Toyota who is trying to crack corny jokes, or Hyundai who is in an identity crisis as they’re not sure whether to brand themselves as a company that offers luxury vehicles, or a company that has reasonably priced cars for the middle class.